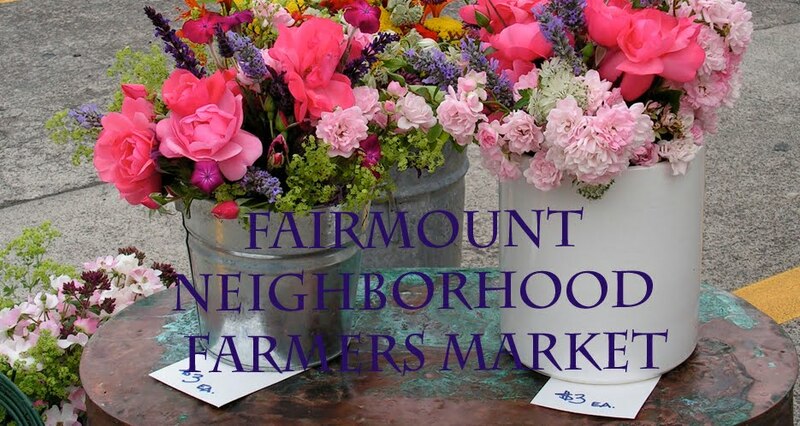 At the Fairmount Neighborhood Farmers Market this Sunday you will find fresh eggs and pastured chicken, beef, pork, and lamb from Fair Valley Farm and Fog Hollow Farm, as well as fresh cut flower bouquets from Tiger Lily Art Company. Camas Swale Farm will have plenty of summer produce including melons and watermelons, cucumbers, garlic, salad greens, pardon peppers, carrots, and tomatoes. 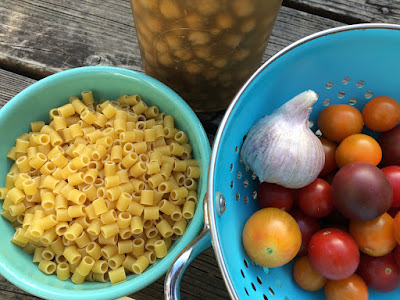 This week I used a pint of Camas Swale's pretty heirloom cherry tomatoes to add bursts of color and sweetness to a pot of pasta with chickpeas, employing a cooking method that's become my personal obsession these days. Rather than bothering with boiling a pot of water to cook your pasta, you can simmer it right in the sauce with flavorful bean broth. 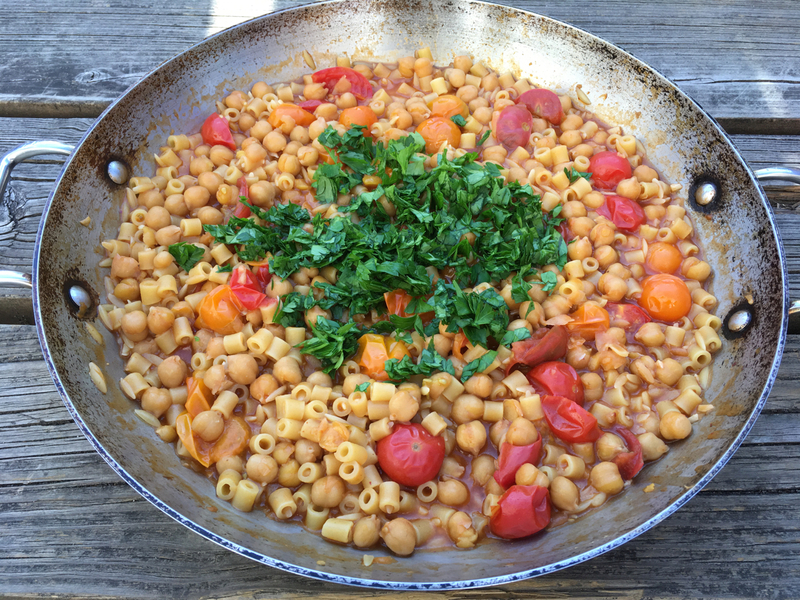 The end result is the rich flavors of a minestrone soup, but with the texture of al dente pasta. My approach is to cook a pot of beans over the weekend for tacos, salads, or spreads, and then reserve a pint of beans and a quart of bean broth for a quick pasta dinner later in the week. This is the kind of dish that your future self with thank you for teeing up over the weekend. Heat a large skillet or shallow pot (for which you have a lid) over medium heat. Also boil a kettle with a couple of cups of water. Add the olive oil and anchovies and break up the anchovies with your cooking spoon as you allow them to melt into the hot oil. Add the minced garlic and and red pepper and allow to cook until the garlic starts to brown and is very pungent. Stir the tomato paste into the flavored oil and allow caramelize for a couple of minutes. 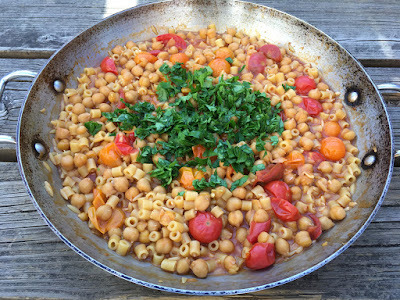 Then add the chickpeas and chickpea broth, the cherry tomatoes, and the pasta. Allow the pan to come up to a simmer, lower the heat medium low, and cover the pan. Cook the pasta, stirring frequently to dislodge the pasta pieces that will stick to the bottom of the pan. Keep an eye on the liquid level of the pan to make sure it is slightly soup and add splashes of boiled water as needed, or if it seems too watery then uncover the pan and raise the heat to allow the liquid to boil off. Start checking the pasta after about 8 minutes, but it will likely take a couple more minutes to reach a point where it is just cooked through but still very firm. Turn off the heat, cover the pot, and allow it to sit for a couple more minutes. Uncover, garnish with chopped parsley, and serve immediately with freshly grated parmesan cheese. Enjoy. Sort and rinse the chickpeas. 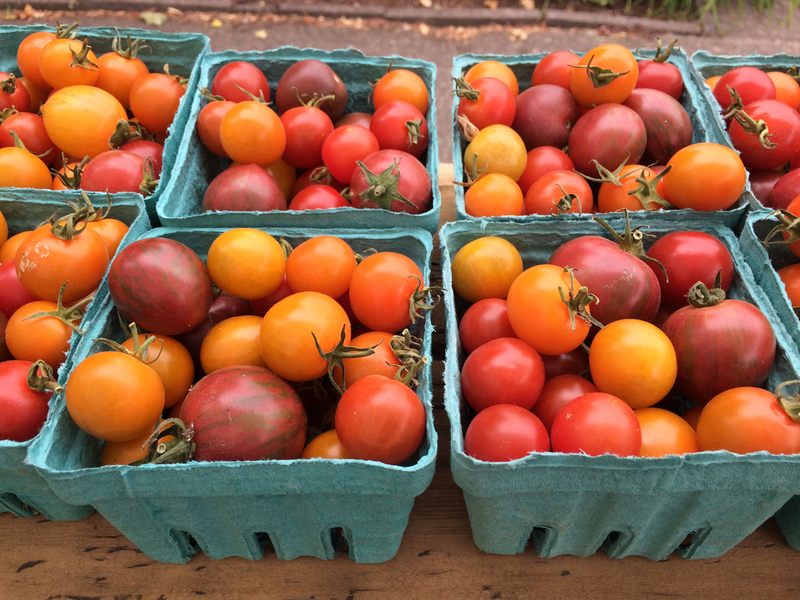 Place them in a pot with the water, baking soda, and bay leaf. Bring to a very gentle simmer and cook until tender, about 90 minutes depending on the age of the beans. I like to cook beans in a slow cooker, which takes about 3 hours. When the beans are tender, turn off the heat and add 2 Tbsp of kosher salt. Allow to cool. Strain the beans over a large bowl to collect the bean broth. Use the broth and some of the beans for this recipe. Remaining beans or broth can be frozen for later use.